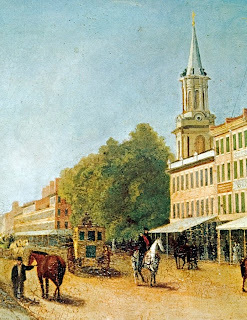 This 1846 painting of King Street East features Toronto's first taxi cab, "The City" with none other than Thornton Blackburn himself (seated atop) conducting the horse-drawn coach. Black History Month is for everyone. Each year, we remember the significance of inspiring Black people in history. It is a sadly wasted opportunity if this exercise begins and ends with Marin Luther King, with all due respect to the towering legacy he left. It's further unfortunate if we're left with the notion that "Black History" only happened in the United States. Colonialism distributed Africans throughout Europe and the Americas, and to the furthest reaches of the global diaspora we'll find wonderful stories and rich history. As I'm in Toronto, we'll look at a few Black people who've had an impact on the region's development, making contributions as well as just being interesting yet seldom recognized parts of GTA history. A most appropriate person with whom to start is none other than Thornton Blackburn. Who? Exactly. What a shame it is that his is not a household name, for Thornton Blackburn started the very first taxi service in Toronto, in 1837, 40 years before Canada became a nation. 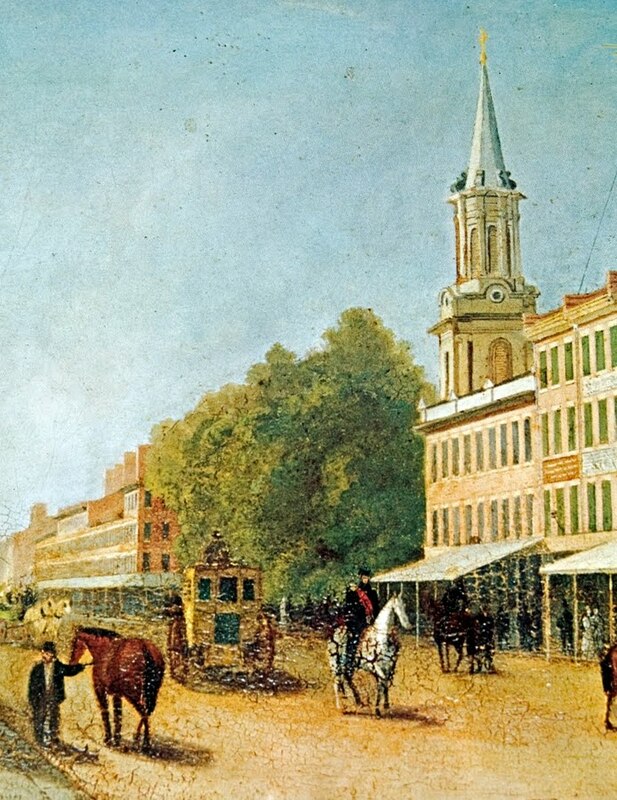 Seeing a need for getting around, he commissioned the build of a four-person carriage, and started "The City", the first taxi service in Toronto, running along King Street. The City's colours - red and yellow - were eventually adopted as the first corporate colours for what would subsequently come on stream as the TTC. Born into slavery in Maysville, KY, he escaped via the Underground Railroad with his wife Lucie, northward to Detroit before being caught and jailed, awaiting return to their owners in Kentucky. Lucie escaped by changing clothes with a visitor! and dashed to Toronto. Thornton's escape proved far more difficult, but before he could be returned, a group of sympathizers broke him out of jail. The melee incited what would become known as "the Blackburn Riot". Blackburn escaped, continuing northeast along the railroad to Toronto, the largest Railroad destination outside the United States. There, Thornton and Lucie settled and lived a long, noble, quiet yet productive life from their home on Eastern Avenue at Sackville, and his legacy lives on, far removed from the tumultuous beginnings of a slave on the run. Born into an environment wherein it was against the law for him to go to school or learn to read, his ambition and internal sense of "I can" is a miraculous bursting forth of the human spirit, an exuberant throwing off the shackles of externally and wrongly imposed limitations on the capabilities and potential of a bright mind. 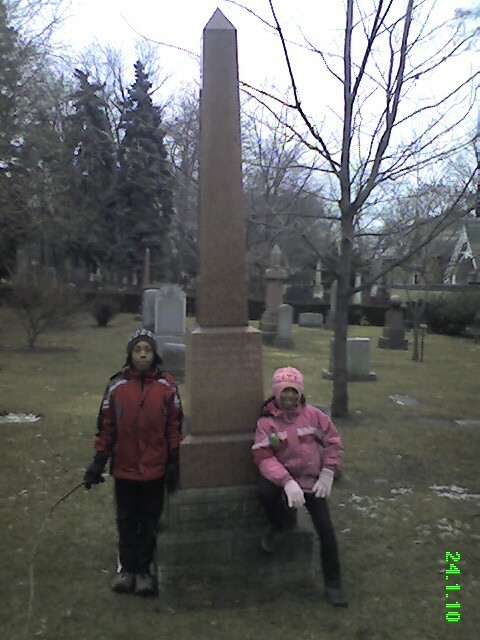 Thornton and Lucie Blackburn were members of the Toronto elite - affluent, mobile, decision-making, opinion-sought. A familiar face in social circles and to the common alike, he was a core part of the anti-slavery and safe-haven movement that found Toronto the most logistically advantageous city in the world from which to make a difference; Toronto was beyond the legal control of US soil, protected by British law, yet within proximity to the US such that it could both provide safe-haven to escaped slaves as well as a command centre for abolitionist organization and informational dissemination. Thornton died in 1890, and was laid to rest at the Toronto Necropolis alongside friend George Brown, "father of Confederation", founder of the Toronto Globe (predecessor to the Globe and Mail newspaper), leader of the Reform movement's transition into the Liberal Party of Canada West, and an active abolitionist. Diversity had been a part of Toronto vision, leadership, nobility and society. Diversity helped make Toronto a great city. Any discouragement of continued diversity at the highest corporate and civic levels is a regression and a failure to uphold the legacy of Toronto's heritage. It also sheds new light on the tensions of this city's transportation infrastructure. Toronto had visionaries who saw needs and could meet them appropriately. Today's gridlock, ever increasing commute times, insufficient public transit, and botched St. Clair line demonstrate that we have fallen short of the pace and standards set by an escaped former slave. Toronto ought to be newly inspired by his memory to "get it together", "figure it out." A note on sources - while much of the historical facts about Thornton Blackburn and others in this four-part series are generally available online, I'm very thankful to my friend Paul Comarmond for sharing with me a wonderful book by Karolyn Smardz Frost entitled I've Got A Home in Glory Land: A Lost Tale of the Underground Railroad, which provides a grand overview, remarkable details and a wealth of insights into the Underground Railroad, Toronto's significance at the end of the line, and the many players, great and small, caught up in the changing paradigms from antebellum to Civil War to Reconstruction. Dr. Frost led the excavation of the site of the Blackburn home in 1985, figuratively and literally unearthing a heretofore forgotten history, prompting a 20-year journey of investigation and discovery, and rescuing a legacy that might otherwise have been lost forever. I've no words to express my appreciation for all I'm learning as a result of her monumental work. Of course, her book is highly recommended, "must reading". Thank you Mr. A. for this stimulating and thought provoking contribution. It caused me to wonder about the contemporary role of Black folks in the transportation field and in other endeavors of commerce and industry for that matter. Where are the Blackburn equivalents today? The purpose of BHM, if the exercise is to be meaningful, is to inspire the present and to lay the motivational foundation for the future. What is telling about the Blackburn story is how such an auspicious beginning flowing from the inspiring era of the Underground Railroad where Blacks fought and triumphed over adverse conditions to become integral parts of Toronto's social and economic fabric has been seemingly railroaded to become a story of exclusion, mayhem, guns and gangs, a proliferation of bad press and an apparent moral and social decadence as exemplified by our youth. We need to rewrite our story again but in the presentence and restore the passion for freedom, the pursuit of justice, excellence and of character that typified out forebear's struggle for dignity and salvation. We ought to strive to transform yesterday's glory, making it into today's reality and tomorrow's promise. I look forward to reading more of your "ought thoughts"
Yes to the local history, Yes to the platform of information sharing, and yes to the modeling for and inclusion of your children in the learning.